UEM Sunrise, in collaboration with the Ministry of Federal Territories, launched Kondominium Kiara Kasih, its first RUMAWIP project, located in Segambut, neighbouring Mont’Kiara, Kuala Lumpur. Each unit of the 719-freehold project comes with 850 sq ft built-up, three bedrooms, two bathrooms, a parking bay and a host of amenities. 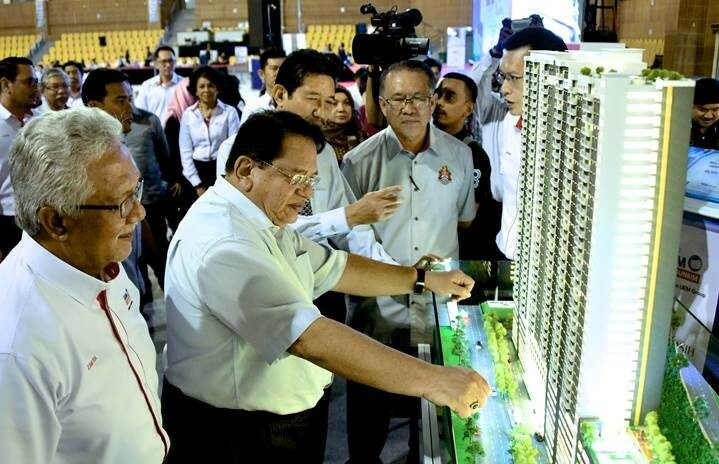 The launch ceremony was graced by YB Datuk Seri Utama Tengku Adnan Tengku Mansor, Minister of Federal Territories followed by a balloting session, which was attended by more than 1,000 guests. 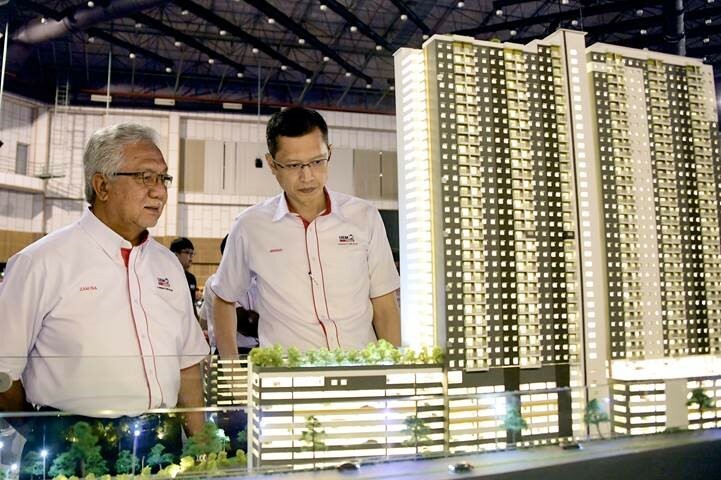 Tan Sri Dato’ Sri Zamzamzairani Mohd Isa (left) with Anwar Syahrin Abdul Ajib looking at the Kondominium Kiara Kasih scale model. 21 March, KUALA LUMPUR – UEM Sunrise Berhad (‘UEM Sunrise’ or the ‘Company’), one of Malaysia’s leading property developers, in collaboration with the Ministry of Federal Territories, launched Kondominium Kiara Kasih, its first Rumah Wilayah Persekutuan (‘RUMAWIP’) yesterday. The launch was graced by the Minister of Federal Territorries, YB Datuk Seri Utama Tengku Adnan Tengku Mansor. More than 1,000 guests including the registrants, purchasers, government agencies’ representatives, media members and members of the public were present to witness the launch, which was followed by a balloting session. The first 10 purchasers on stage who did the balloting. Kumutha Subramaniam, 37, a housewife from Sentul said her husband, Jerry Axton, 40, an Electronic Engineer was the one who applied for the property. “We were looking for a right property to buy. When my husband came to know about Kondominium Kiara Kasih, he registered at the RUMAWIP portal immediately. 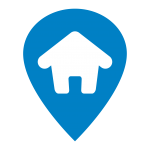 Not only it is affordably priced, the location is strategic too. We would like to thank the Ministry of Federal Territories and UEM Sunrise for giving us this opportunity to own a home right in the heart of Kuala Lumpur.” Kumutha who represented her husband at the balloting was accompanied by her 10-year old daughter, Vanessa Laveenia Axton. Meanwhile, Lim Hui Ting, 29, who lives in Setapak and works in Jalan Ipoh as an Accountant for the last six years, said Kondominium Kiara Kasih is her first property in Kuala Lumpur. “I have been planning to own a property and settle down in Kuala Lumpur and this opportunity came at a right time. I am very comfortable with Segambut and Mont’Kiara areas. 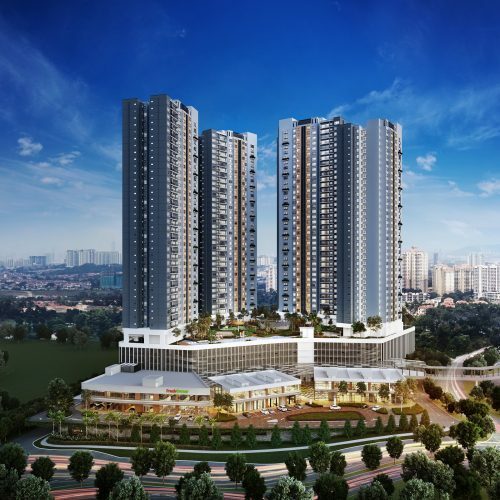 The price for Kondominium Kiara Kasih is so affordable and knowing that it is a project by UEM Sunrise, it gave me even more confidence to purchase the property,” she said. The ceremony was held at Dewan Juara, Bukit Kiara Sports Complex in Kuala Lumpur. A scale model of Kondominium Kiara Kasih was also made available for the guests to view the project. 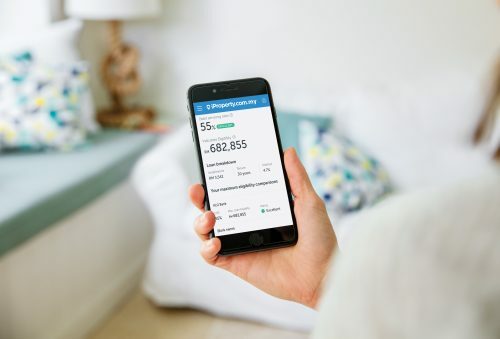 The first 350 purchasers who successfully signed up the Sales & Purchase Agreements with complete loan documentations will be presented with Ikea Gift Card worth RM1,000 each by UEM Sunrise. “This project reaffirms our commitment to build affordable housing in support of the Government’s home ownership aspiration for the rakyat. Kondominium Kiara Kasih is strategically located and is suitable for young adults who need a base for them to grow their family in the city centre. We really hope that the rakyat will take advantage of this RUMAWIP project,” concluded Anwar. RUMAWIP is an initiative by the Government under the Ministry of Federal Territories in providing affordable homes for middle and low-income groups who live and work in the Federal Territory of Kuala Lumpur. 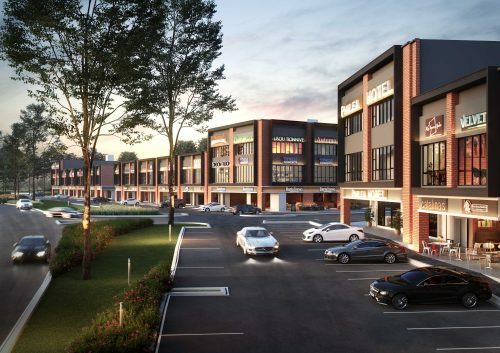 Kondominium Kiara Kasih residential development sits on a 2.14-acre freehold footprint and commands a gross development value of approximately RM217.5 million. The condominium with complete lifestyle facilities is scheduled for completion in October 2022. It offers 719 units on a single tower of 40-storey and each unit is affordably-priced at RM300,000 that comes with 850 square feet built up, three bedrooms, two bathrooms, a parking bay and a host of amenities. Key features and amenities include guard house, mail room, entrance plaza, nature play, urban farming, outdoor fitness station, open lawn, open plaza and terrace garden (on the Lower Ground floor); Nursery (on the Ground floor); pocket garden, management office, surau, reading room, playground, BBQ area, swimming pool, wading pool, changing room, multipurpose hall (on the Podium or 8th floor); and finally the terrace garden, sky fitness station, viewing deck and scent garden (on 39th Floor). The guarded community not only offers residents a lively ambience for community living but an environment for them to relax and unwind after a busy and hectic day without having to leave the comfort of their homes. Kondominium Kiara Kasih is also located in close proximity to SK Taman Sri Sinar, SK Sri Hartamas, SMK Sri Hartamas, SK Kiaramas and SMK Kiaramas. 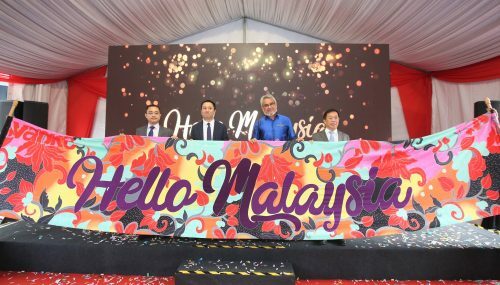 Also present at the launch ceremony were Tan Sri Dato’ Sri Zamzamzairani Mohd Isa, Chairman of UEM Sunrise; Datuk Seri Adnan Haji Md Ikhsan, Chief Secretary of the Ministry of Federal Territories; Tan Sri Haji Mohd. Amin Nordin Abd. Aziz, Mayor of Kuala Lumpur City Hall; community leaders, as well as staff of UEM Sunrise. For interested RUMAWIP homebuyers, you may log on and register your interest at rumawip.kwp.gov.my.